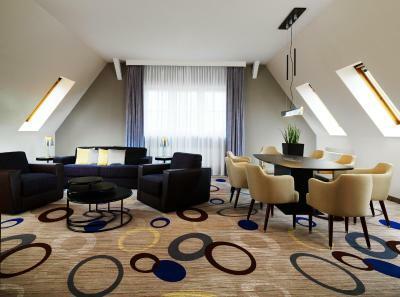 Lock in a great price for Sheraton Hannover Pelikan Hotel – rated 8.6 by recent guests! Breakfast was really good. The waiter there was very kind. 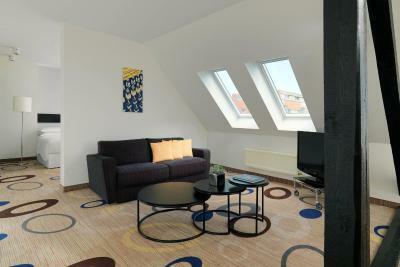 Nice and stylish interior with high ceiling and big windows. The building itself is great. Big windows. Mostly friendly and helpful staff. Breakfast was lovely, very convenient location. Quiet place but full of history. Super Breakfast ! big choice of food and A la carte offer for omelette or any further request.. Area is near to public transportation so easy to access. Hotel staff very friendly as expected, room and bath clean. Nice in door terasse to have a rest. Suite room was excellent. Breakfast was very good. The staff was 10/10. The suit room was very good. The bed is comfortable. Conveniently to reach by train. Nice old factory redevelopment. Good breakfast but expansive. Very friendly staff. Easy access and in a nice part of the town. Nice, friendly staff who speak good English. Pet-friendly, the only hotel in the area that didn't refuse us staying with our three pugs. 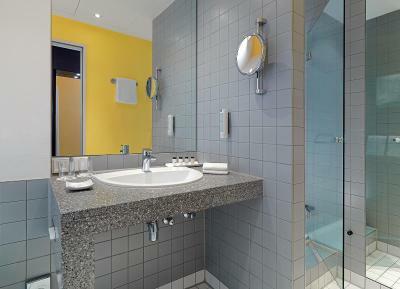 The hotel is bright, modern, clean and very spacious. The room are really high, very unusual and quite luxurious experience. The whole Pelikan Quarter is a post industrial modern area, with a very special retro feel. Nice and quiet, feels safe and there is no street noise in the room at all. The fee of 25 euro for cleaning the room after staying with pets feels justified. 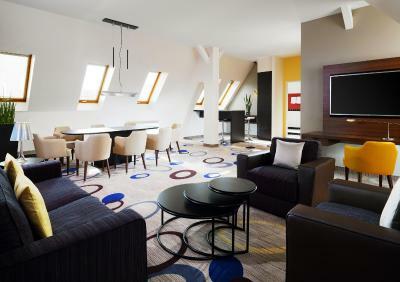 Sheraton Hannover Pelikan Hotel This rating is a reflection of how the property compares to the industry standard when it comes to price, facilities and services available. It's based on a self-evaluation by the property. Use this rating to help choose your stay! Offering international and fusion cuisine and good transport connections, this elegant hotel is located directly beside Eilenriede City Forest in Hanover. 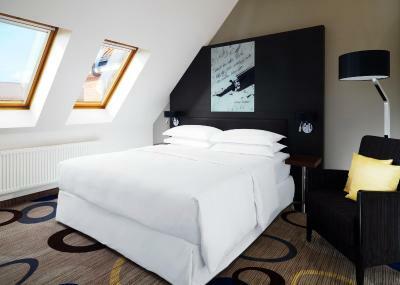 The modern hotel provides unique accommodations in the former Pelikan fountain pen factory from 1906. 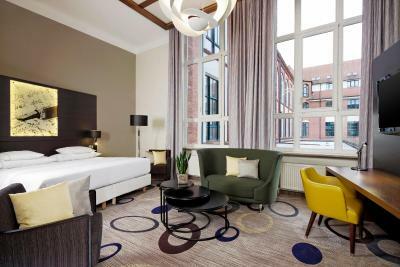 All rooms and suites at the Sheraton Hannover Pelikan Hotel feature elegant décor, satellite TV, and wired internet access. 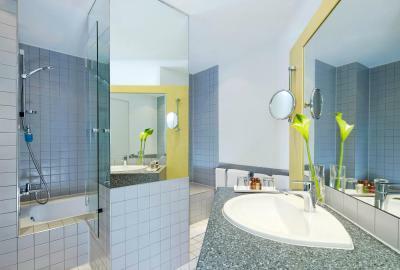 Each room comes with an private bathroom. 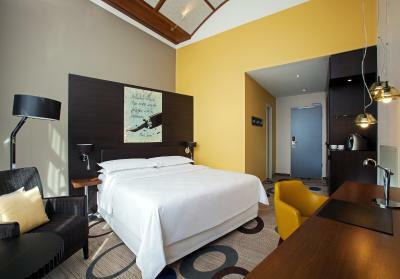 The Sheraton Hannover Pelikan Hotel is 250 feet from the Pelikanstraße tram stop, from where there is a connection to Hanover Main Station every 16 minutes (duration to main station is 11 minutes). The Pelikanstraße underground station is 150 feet away from the property, while Hanover Airport is 7.5 mi away. List is a great choice for travelers interested in convenient public transportation, museums and zoos. 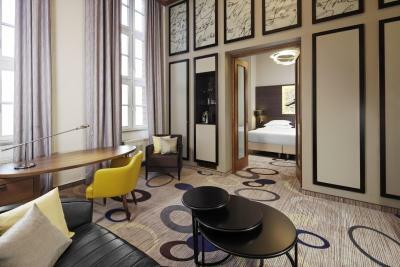 When would you like to stay at Sheraton Hannover Pelikan Hotel? Hotel surroundings – This neighborhood is a great choice for travelers interested in convenient public transportation, museums and zoos – Check location Great location - show map Guests loved walking around the neighborhood! 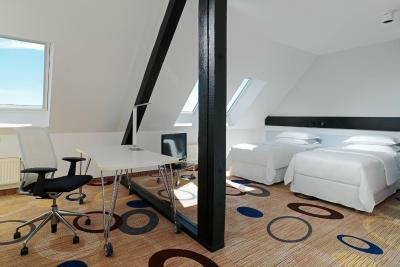 Wired internet is available in the hotel rooms and costs EUR 19 per 24 hours. 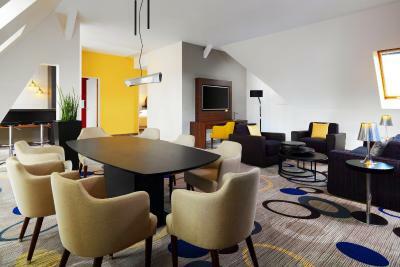 House Rules Sheraton Hannover Pelikan Hotel takes special requests – add in the next step! Sheraton Hannover Pelikan Hotel accepts these cards and reserves the right to temporarily hold an amount prior to arrival. Very poor room equipment. Empty minibar, no slippers, no toilet accessories etc. you have to ask for every little thing. Very bad experience at this hotel. A thief entered in the breakfast room without any control from the hotel staff and stole my wife's bag which was on the chair while we were having breakfast in the morning. The thief could also escape uncontrolled by the personel of the hotel and my wife did not recover her bag. The best part was when the hotel's staff said they are not responsible of the people who get access to the hotel. I cannot believe it. As apologies we got statements like "would you like something to drink or eat", nothing else. Sorry but this is NOT ACCEPTABLE for a 4 star Sheraton hotel. Thank you for an UNPLEASANT stay at the Sheraton hotel in Hannover. The toilet paper is terrible. Choices for breakfast could have me better. The front desk was a little bit unprofessional with my credit card. The room was not so spacious. Awful restaurant that nobody uses. I made the mistake and found on a Wednesday night when the hotel was busy there was me and just one table for two people ... 80+ empty seats at 21.00Hrs ...vacated by the wise!